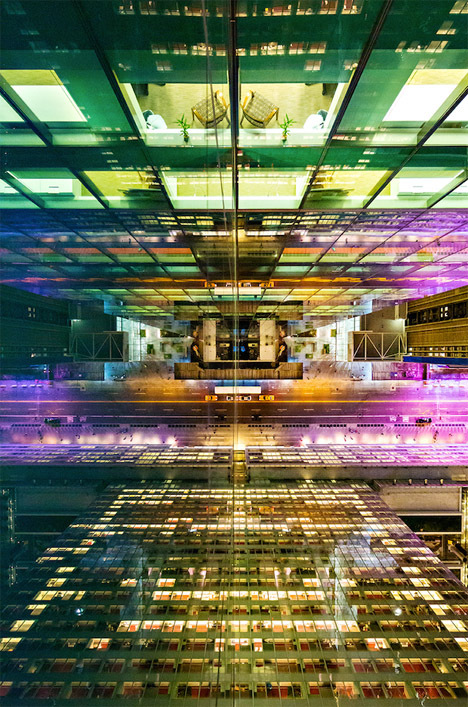 Illuminated cityscapes multiply and divide in unexpected ways when their nighttime reflections hit the mirrored facades of the skyscrapers found within them. 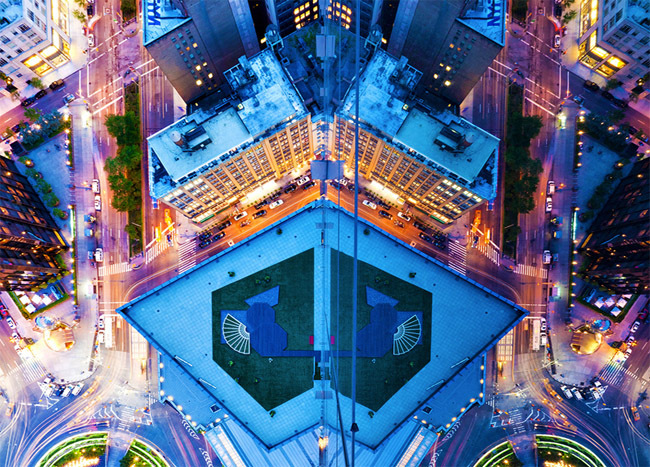 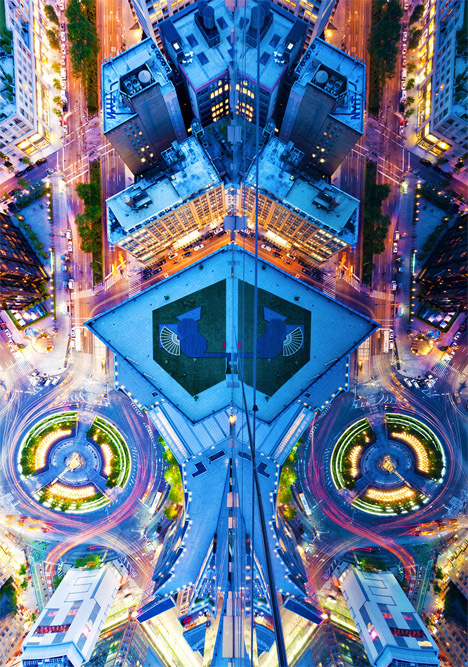 Photographer Donna Dotan, known for her vivid and meticulously composed architectural shots, came across her project ‘Reflections from Above’ by accident while shooting an apartment for sale at the Mandarin Oriental in New York City. 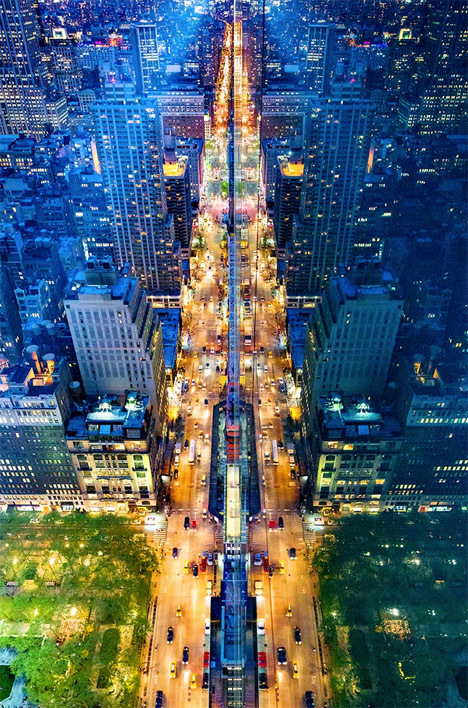 Holding her camera outside the window to snap a photo, Dotan captured not just the city below, but also its reflection against the building itself. 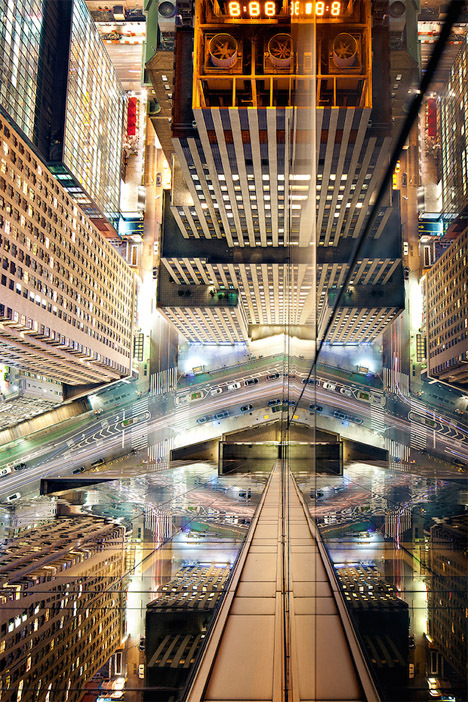 The results play into Dotan’s fascination with symmetry and highlight certain aspects of each scene, whether the frenetic energy of the busy streets or the comparative tranquility of the deserted rooftops. 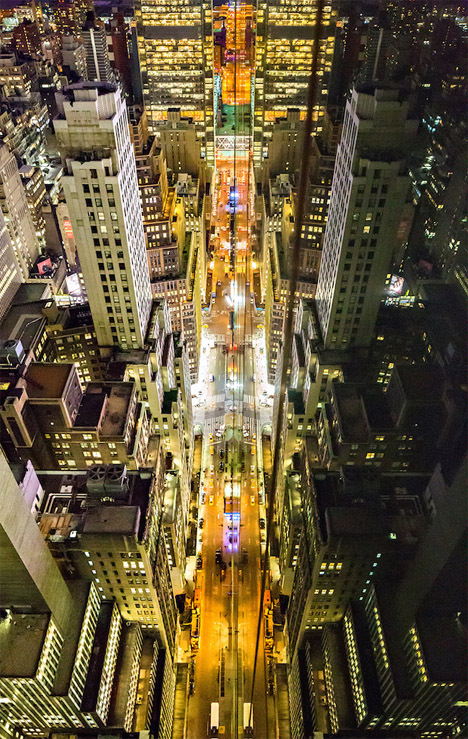 The ‘Reflections from Above’ series has only just begun – keep an eye on Dotan’s website for more.